In an offseason where many Capitals’ fans did not see any big moves forthcoming, they were absolutely shocked when the first couple of days in July rolled around. After a very quiet start to the offseason, the Caps went out and signed Justin Williams to a 2-year, $6.5 million contract on July 1st. That move was even quiet – there was really no reports, outside of speculation, of Williams ending up in Washington. Also, the move was not made official until an hour or so before midnight. Many saw the signing as the one and only “big” move the Caps would make. Even at $3.375 million per year, Washington was still pinched against the cap. They still had to sign RFA’s Braden Holtby, Evgeny Kuzetsov, and Marcus Johansson. Yet, most reactions to the signing were overwhelmingly positive. The Capitals needed someone who had a strong postseason track record and experience to help carry the team deeper into the playoffs. 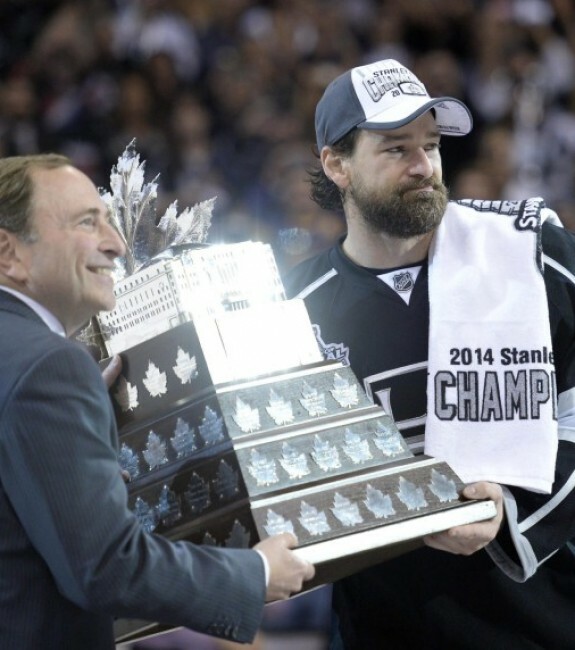 Wouldn't be surprised to see Justin Williams go on another playoff run with the Capitals. Good pickup there. As I have mentioned previously, I was very worried Capitals’ GM Brian McClellan had found his answer to the 1RW spot. Williams, a very good hockey player, has only had more than 60 points twice in his 14-year career and the last time it happened was way back during the 2006-07 season. Believe me, I am a big fan of his, but he was not the compliment Alex Ovechkin and Nicklas Backstrom needed. Yet less than a day later, the Capitals traded for American hero T.J Oshie in a move that shocked many. There had been talks that the St. Louis Blues wanted to blow up their roster, but most of the chit-chat was just rumor. No one saw them trading Oshie, especially to Washington, early on in free agency. The Caps sent Troy Brouwer, goaltender Pheonix (yes, Pheonix) Copley, and a 3rd round pick in 2016 for Oshie’s services. A week prior, the Caps had drafted goaltender Ilya Samsonov with their 1st round pick. Not many were sure why they had selected a goalie, due to the fact their system is loaded at that position. Fast forward to July 2nd and we see what Brian McClellan had envisioned for this team. The pick of Samsonov, who many regarded as the best goalie prospect to come out of the draft, was the perfect pick for Washington. It allowed for McClellan to part with one of their top goaltending prospects and acquire a much-needed right winger, without depleting their system. Ovechkin and Backstrom have not played with another dominant winger since four seasons ago. During that time, they have rotated quite a few players into that position without much success. Marcus Johansson has shined at times, but has never solidified his spot on the 1st line. With Oshie coming into town, they should have found their man. During his time in St. Louis, Oshie played the majority of his minutes with David Backes and Alex Steen. 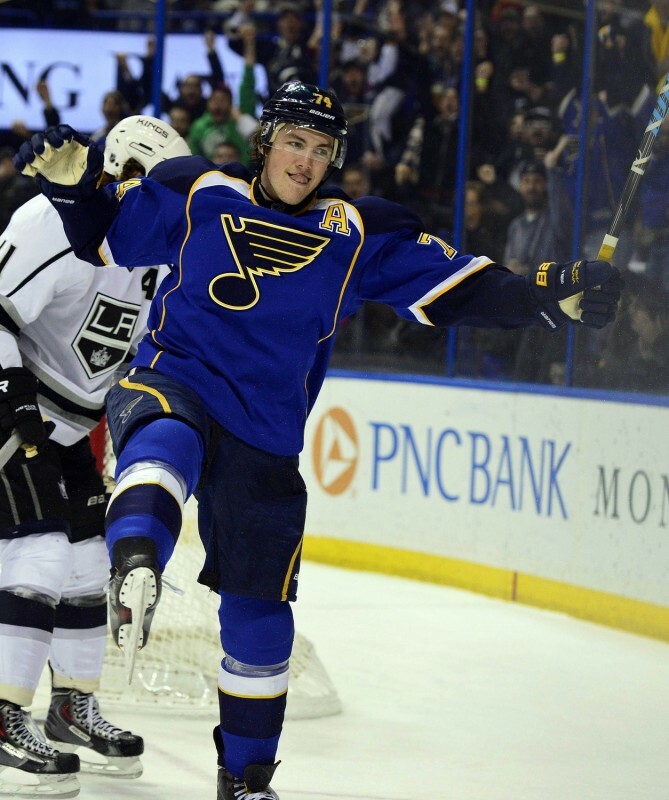 Over the past three years, he has a 52.8 CF% – 53.5% with Backes and 54.0% with Steen. Not too shabby, especially when you match up Backes/Steen against Ovechkin/Backstrom. The Caps’ duo obviously brings a lot more firepower and talent to the table then the guys from St. Louis. I am not saying Backes or Steen are bad, but just Ovechkin and Backstrom are quite a bit better. Oshie should slot in perfectly next to those two. He is the type of player the Capitals have been looking for to put on the top line – a playmaker, but also someone who can throw their body around. Johansson never fit that mold, Tom Wilson still is not developed enough yet, and Semin years ago would often disappear at times. 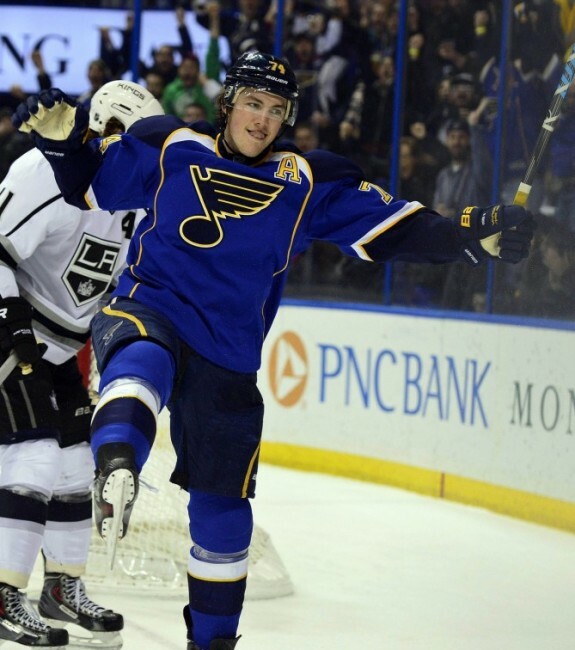 Last season, Oshie ranked 48th in the league in even-strength points with 41 (15 G, 26 A). That is better than Anze Kopitar, Pavel Datsyuk, Joe Pavelski, Patrice Bergeron, and Phil Kessel. While the Caps’ top line has been dominant over the years, they have always looked for more even-strength help. Ovechkin and Backstrom are arguably the most dominant combo on the power-play in hockey, but they have needed someone to help create more scoring chances during 5-on-5. Oshie should help. He has had very good possession numbers throughout his career and has 115 points in 151 games over the past two seasons. While I would not call him “elite” or a superstar, he is definitely in that second-tier of players and should definitely help contribute to this year’s offense. 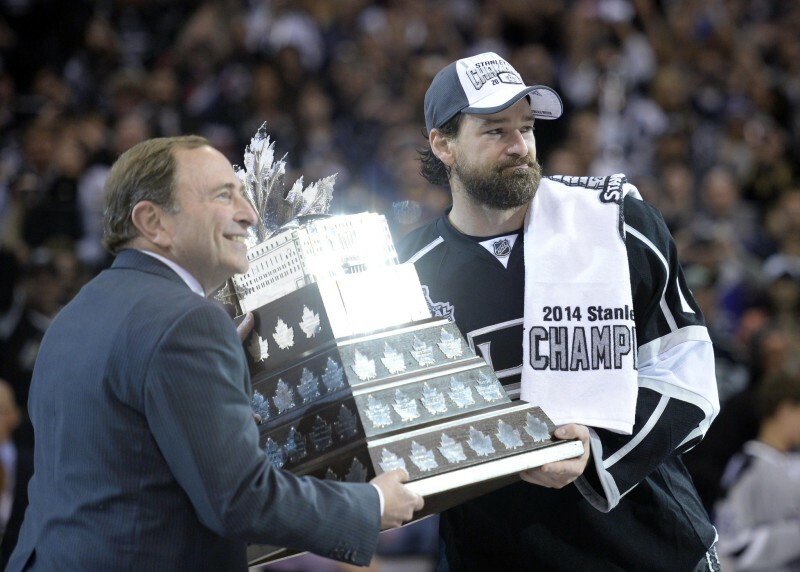 No one is more of a winner than Justin Williams. This man has played in seven Game 7’s and in those games, he is 7-0 with seven goals and seven assists. Yes, dead serious. I cannot make this stuff up. In 115 career playoff games, he has 78 points. He has three Stanley Cup rings. He has a Conn Smythe Trophy. He has got it all. Now, he has come to Washington to help a franchise win their first ever Stanley Cup. Williams will be turning 34 years old in October and will be entering his 15th season in the league. As I mentioned above, he has never put up ridiculous stats and also has never made an All-Star team. That does not mean he is a bad player; it just means he is not a cornerstone player to a franchise. He is a very good hockey player that does his job well – and wins. There is nothing wrong with that. Over the past four seasons, he has seen his numbers slowly decline. 59 points in 2011-12, 33 points in the following lockout season (projects out to be roughly 56 points if they played a full season), 43 points in 2013-14, and lastly 41 points last season. All very solid numbers, but I think his age may slowly be catching up to him. What he does bring is a very high hockey IQ and leadership to the locker room. That brings me to this: he is a perfect fit with Evgeny Kuznetsov and Andre Burakovsky. Perfect. With Oshie in the picture, Williams will not be expected to play many minutes with Ovechkin and Backstrom and understandingly so. He may get a shift or two with those guys, but will not be a main cog in that line. So, who should the veteran play with? Why not the Capitals’ two emerging superstars? Kuznetsov and Burakovsky have a ton of talent and potential, yet lack experience and a complete understanding of North American hockey. Williams could pair up with these two guys, who could greatly benefit from his guidance and experience he can provide to them on and off the ice. Not only does he bring those intangibles, he brings possession. And lots of it. During his career, Williams has an absurd 55.2 CF%. Just two seasons ago, it was at 60.5%. Three seasons ago? 63.4%. Out of this world possession. Before you say anything, I know. He has played with possession superstar Anze Kopitar over that time, which certainly helps – along with an overall strong possession team in the Los Angeles Kings. But I do not think those numbers are fluky. He had very good possession numbers when he played in Carolina as well. He knows what he is doing on the ice and he possess the puck. I think he is a great fit alongside the two youngsters on the team. If you look at it, the Capitals replaced Troy Brouwer and Joel Ward this offseason with Oshie and Williams. I would say that is pretty good. I was never Brouwer’s biggest fan and thought he was disposable. Ward is a much different story though. He was a leader on the team and absolutely brought it when the team needed him the most. He was a warrior in the postseason and will certainly be missed. Oshie for Brouwer is a sizable upgrade. Without Brouwer, you lose a leader as well and someone who commanded the front of the net from time to time on the power play. That is about it. I realize his point production may say otherwise, but his possession numbers do not. He has a sub-50.0 CF% over his time and Washington and it never seemed he would drive the puck into enemy territory. Oshie should be able to help in those categories, as well as provide more of an offensive upside. I like the moves Washington has made this offseason, especially in acquiring these two players. The Ovechkin “window” can only stay open so long and Washington needs to capitalize on his prime while they can. The addition of Oshie and Williams can potentially bump this team into true Stanley Cup contention. While it is no lock they get there, the Capitals have certainly improved their chances.